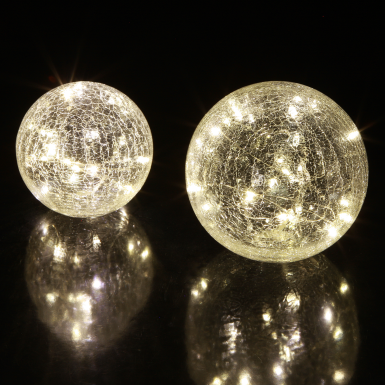 Small drops of light crown the unique craclet ball and make for a stylish ambience. Once turned on, the drops light up for 6 hours then automatically turn off. If the drops haven´t been used hereafter, they will automatically turn back on after hours. Requires three AA batteries (not included).